You want to provide clearly structured definitions for specific terms within your e-learning course? The new Coursepath feature enables you to do so. Draw up a list of non-intuitive terms in a glossary and give the corresponding definitions. 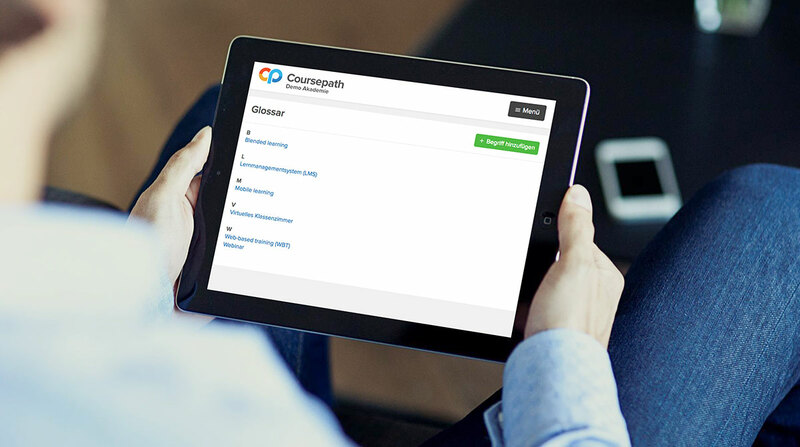 In only 3 steps, we will show you how to create your course-internal glossary. The glossary builds the basis for all definitions of terms. It is managed by the academy manager or authors. Within the course settings you choose “options”. Here, you can enable different elements in the course menu. Tick glossary and the new feature will be activated. 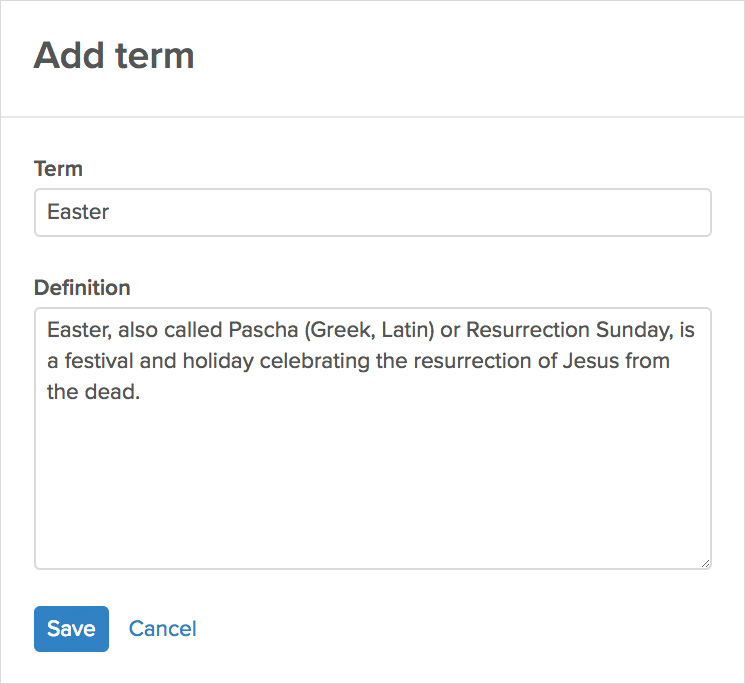 Term definitions are added to the glossary one by one. To add a term, select the previously activated glossary in the course menu. With only one click on „+ add term“, the context menu will open. Simply enter the non-intuitive term and its definition and save the new entry. Please note that any forms that do not follow the exact wording of the term, such as irregular plural forms (eg. „entries“ and „mice“), will not show the definitions for „entry“ or „mouse“. Terms that you added to the glossary, as previously explained, are henceforth shown in blue script within the course and become clickable. This way, participants can access definitions of terms with only one click within the learning step. Definition will be shown in a small window. Creating a course-internal glossary does not require a lot of effort. Nevertheless, the feature has a big effect for learners. Non-intuitive terms can be „looked up“ there and then. This immensely simplifies the learning process, as there is no need for additional tools or additional tabs to search for terms. Since the definition is displayed upon clicking, participants can retrieve the additional information if required.